I saw this part of a red curb in the fire lane next in my new coffee break stomping ground. I got another job and there are acres of parking lots to explore. 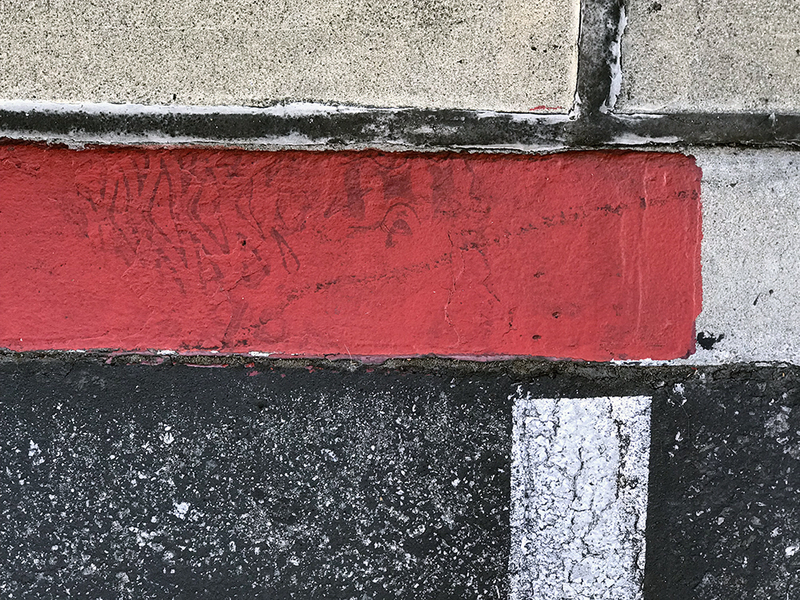 The red and white-painted curb could be the bottom layer of a brick wall, if it weren’t for the painted line on the horizontal pavement. This entry was posted in Personal Stories and tagged abstract art, artistic process, brick wall, creativity, curb, found art, parking lot, photography, street photography, visual arts. Bookmark the permalink.